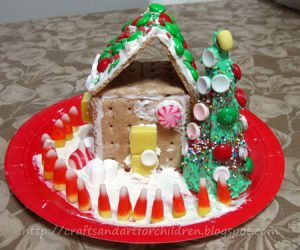 Here are some photos of the Gingerbread House we made using graham crackers and a Christmas Tree made from an ice cream cone. I used Betty Crocker cake frosting as well as the cookie icing in a tube with a tip. 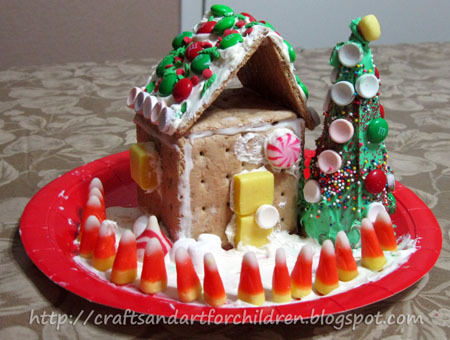 I made the graham cracker house the day before so that it could harden and not fall apart when my toddler decorated it with candy.